Athletic Bilbao defender Aymeric Laporte has extended his contract with the Basque club until June 2020, snubbing interests from Manchester City and a host of other top clubs. 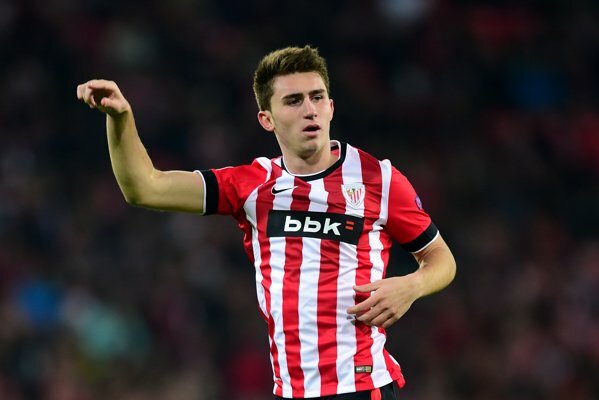 Laporte has been heavily linked with a move away from San Mames and news was all over Spain at some point that the Frenchman has already had a pre-deal to join Pep Guardiola at Manchester City but the rumours have been quelled after Athletic Bilbao made an official statement confirming that the youngster has signed a contract that would see him stay in Spain until 2020. Athletic Club confirmed that the player has penned an extension with a release clause of €65 million for the 2016/2017 and 2017/2018 seasons which will then increase to €70 million for the 2018/2019 and 2019/2020 seasons. The deal also makes him the best paid player in the history of the club. Athletic Club did this to keep the 22-year-old at the club and Manchester City will have to look elsewhere for a central defender target and Everton’s John Stones is the prime name.